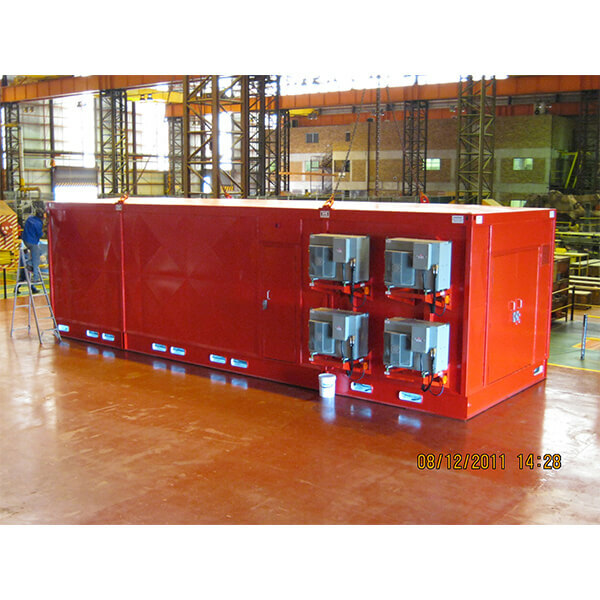 These large movable compartments are custom built to last 30 years* in extremely harsh environments and are ideal to house electrical panels. 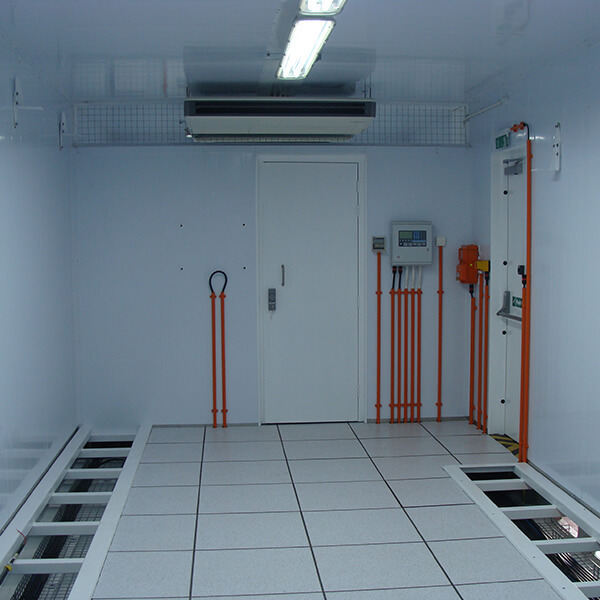 A reliable dust free IP65 climate controlled environment is provided for a wide variety of equipment such as variable speed drives (VSD), switchgear & Auxiliary Power Units (APUs). 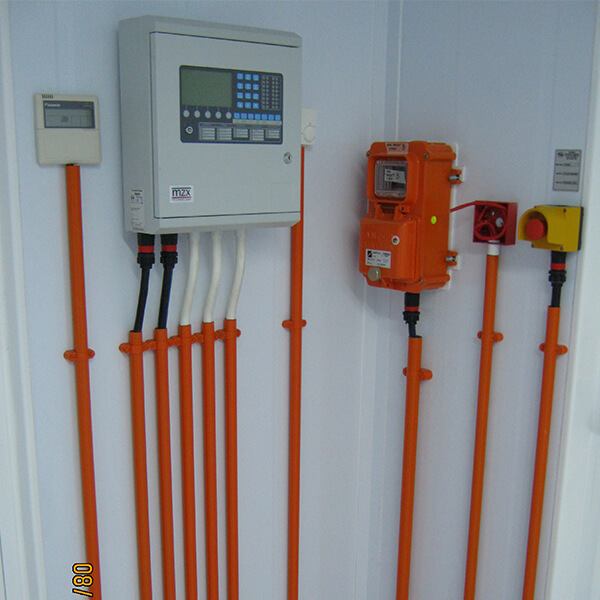 The E-houses are designed to be implemented in a very corrosive and high ambient condition of up to 65°C and certified against the set out standards: AA 114001 and SANS 10162. 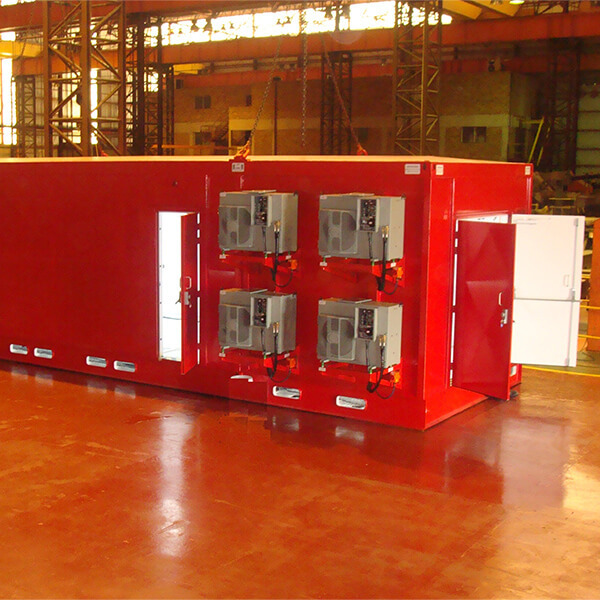 Further trademarks of our E-houses are the reliable cooling and protection against dust contamination. 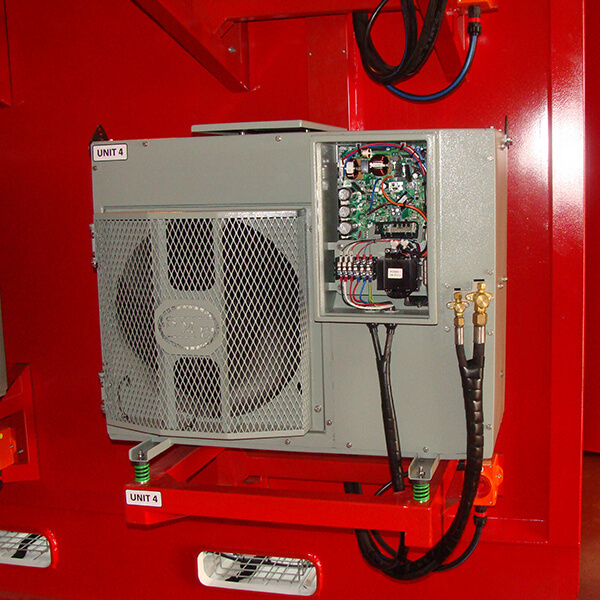 We provide ruggedised air conditioning units specifically designed to operate in coastal and highly corrosive environments. 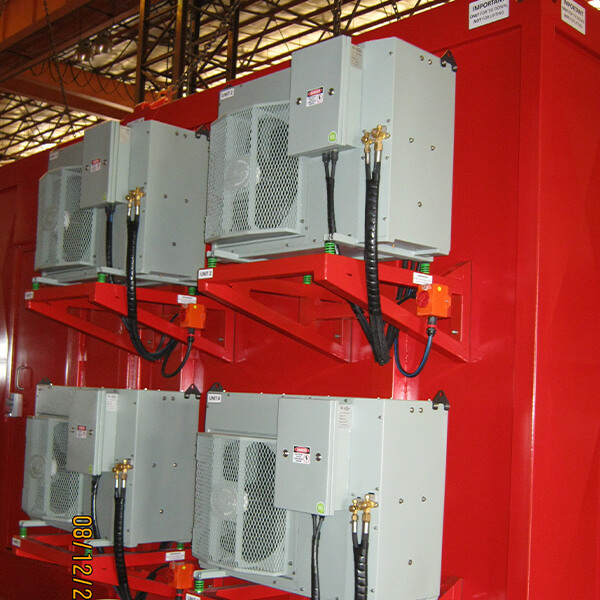 Low maintenance overpressure modules prevent dust contamination by using a self-cleaning primary cyclone filtration system, which removes over 90% of dust particles. Secondary carbon, media & Hepa filters are added to meet client specifications. 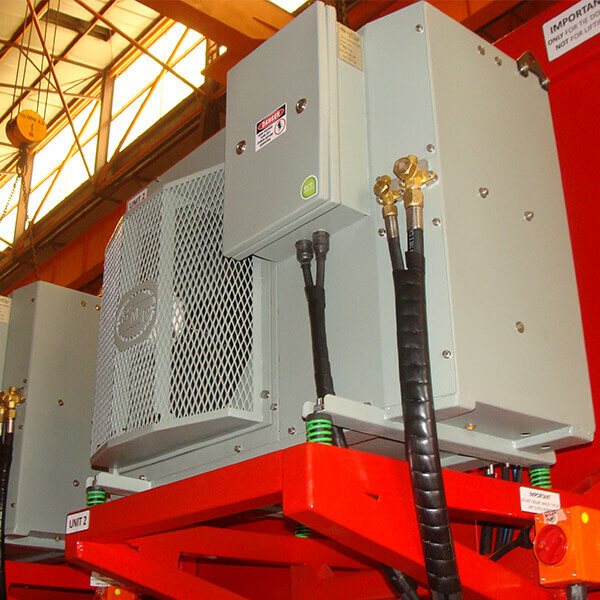 Mobile electrical teams ensure a professional on-site commissioning of VSDs and switchgear. 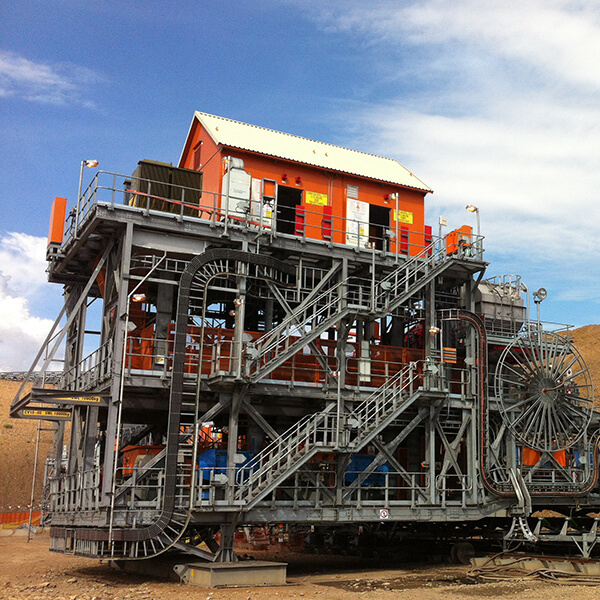 These teams cooperate with the mechanical and civil teams. 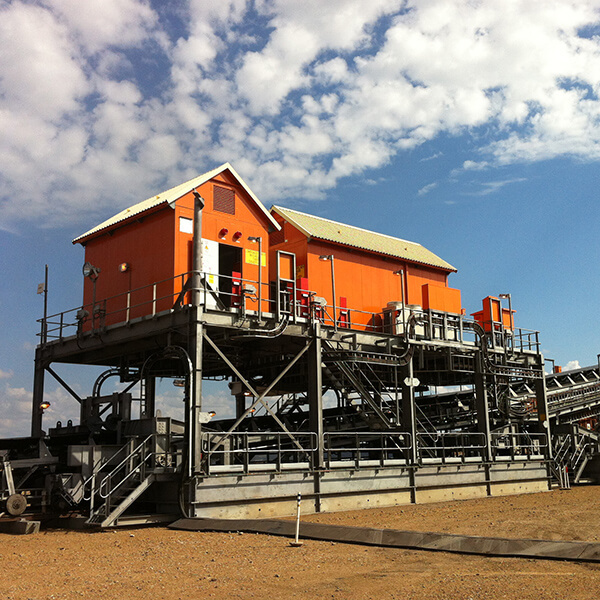 Through service and maintenance contracts, SME can provide ongoing field support from an increasing number of own service centres in Southern Africa.